Our staff is dedicated to helping your child gain an appreciation for all that the sport of swimming has to offer. ​When children love to swim, they learn to swim. When they learn to swim, they swim for life. Long Island Swim School is the teaching arm of Long Island Swimming. Since its inception in 1979, Long Island Swimming has provided swim lessons for thousands of children throughout Nassau County and Long Island. Our program is under the direction of USA Swimming national level coaches Dave Ferris and Ginny Nussbaum. They are considered two of the top swimming coaches in the world. As top level coaches they know what works and they know how to teach it. Long Island Swimming works with every level of athlete from beginner through aspiring Olympian. Long Island Swim School has programs to take your child from learn to swim into swim for life. Long Island Swim School is a goal driven and technique oriented program. Our Site Supervisors regularly monitor each class and consistently evaluate every swimmer. This ensures that Long Island Swim School students are always working towards skills that challenge them to improve their technique and become better swimmers. 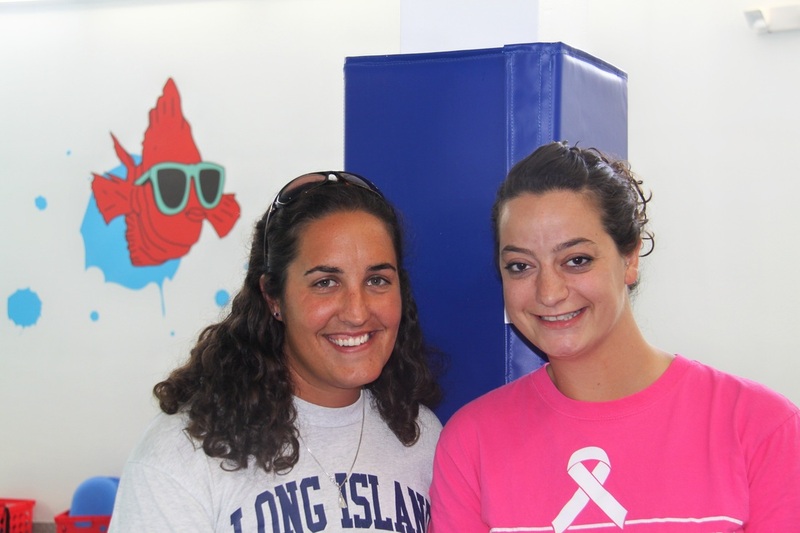 Long Island Swim School's instructional staff has been trained to teach within our program. Our instructors are passionate about sharing their joy for the water with every swimmer. Long Island School instructors teach students how to swim by the most effective method known. Our goal is to provide a safe and positive teaching and learning environment for every swimmer. Earn up to $20.00/hr! Teaching children to love the sport!! Long Island Swim School is looking for hard working, professional, energetic, fun and enthusiastic individuals to join our team. • Teach swim lessons!! Warm water pools and small class sizes make it a comfortable environment for swimmers ages 1 – 16 yrs. and instructors. • Be here!! With Daytime, Evening, and Weekend hours available, there are plenty of opportunities to create a flexible schedule. All we ask is that once your schedule is set, you stick with it! Our program works because of the relationships built between our instructors and our students. Consistency is key. Are you a people person with exceptional sales skills? Are you organized and efficient? Are you looking to have fun at work, and help change lives in the process? Then a Member Services Representative position might be the job for you! We’re looking to fill our front desk with outgoing and helpful individuals who will act as the “face” of Long Island Swimming. You’ll help field customer questions, sell the program to prospective members, book students into classes. Awesome customer service skills are a must! • Paid Training – LI Swim School's unique and comprehensive training program will provide you with all of the skills you need to teach quality lessons; focusing on basic skills, technique and water safety. • A background in swimming is preferred. Comfort in water and basic swim knowledge is a must. • Receive discount on all retail items. • Earn attendance and quarterly performance bonuses. • Earn apparel credits when you sub for a fellow employee.